Excitation and photoionization of Rydberg wave packets are described. Interference of bound-free transitions from many coherently populated Rydberg levels is shown to affect the dependence of the photoionization probability on the duration of interaction. Strong-field interference effects in such a system are described also. The most important of these is the field-induced interference stabilization of Rydberg atoms in a strong ionizing field. The intensity range in which this effect can exist is determined. 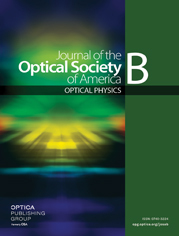 The results derived are used for a qualitative model describing supercontinuum emission in the process of multiphoton ionization.